A veterans advocacy group says a complete overhaul of the Veterans Affairs health system — to include partially privatizing services — is needed to improve care for current veterans and ensure the system’s future viability. 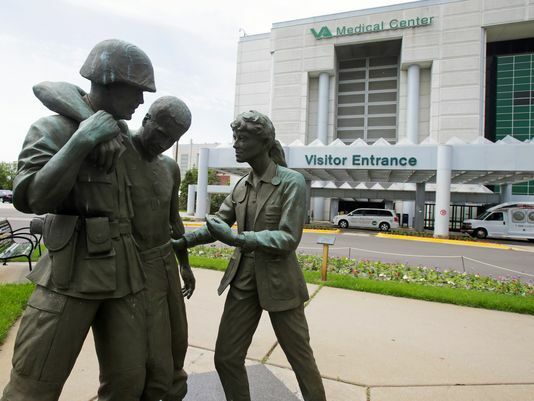 A report issued by a task force formed by Concerned Veterans For America calls for revamping VA medical facilities under a non-profit government organization and proposes changes that would shift more veterans into private health insurance programs. 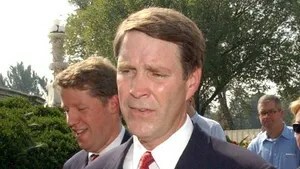 The recommendations in “Fixing Veterans Health Care” would “advance long-term reforms of the current system, while addressing the immediate needs of veterans,” said the authors, including Tennessee Republican and former Senate Majority Leader Dr. Bill Frist and former Rep. Jim Marshall, a Vietnam veteran and Georgia Democrat. According to the task force, the current VA system is broken and unsustainable. “If proactive and fundamental reforms are not made soon, demographic realities will force further drastic and reactionary changes,” the authors wrote. Details of the 100-page report were addressed during a five-hour conference on VA health care hosted by CVA in Washington, D.C., on Thursday. *Splitting the Veterans Health Administration into two entities, a hospital system responsible for medical centers and clinics and a health insurance oversight office. *Closing underutilized health facilities and streamlining services. *Providing health care at VA medical facilities for veterans with service-connected medical conditions who want to stay in the system; and offering private health coverage to veterans who can’t get to a VA health facility or want to see a private physician. Under the plan, veterans who have severe disabilities or fall in higher priority groups would get more money to pay for premium health care coverage; lower priority groups would have access to private care but would be required to pay more in cost-shares. Although Congress passed the Veterans Access Choice and Accountability Act last year that gave VA $15 billion to hire new physicians and let veterans seek private care, CVA officials say the law doesn’t’ go far enough to fix VA’s chronic problems. “The veterans’ health system is still broken. The VA Choice program does not allow for true choice because VA still determines who can access the program … and in the future, VA is going to see massive underutilization. We need to solve these problems,” said Daniel Caldwell, CVA’s legislative and political director. “Veterans can go out and get health care when they want it … that’s what we were trying to do with the Choice card. But VA has erected obstacles which … are clearly in violation with the intent of the law,” Sen. John McCain, R-Ariz., said at the summit. The VA medical system became embroiled in a scandal last year over patient appointment wait times and VA administrators gaming the system to appear to be meeting access standards. In some cases, veterans waited months for care and some died while on waiting lists. “In the end, VACAA has kept the VA bureaucracy in control, and offers few real choices to veterans. This task force seeks to flip that equation. Our proposal puts veterans in control of their health care,” they wrote. The report’s release quickly drew comments and criticism from those skeptical of its findings and recommendations. VA Secretary Bob McDonald said taking care of veterans at VA is a “sacred mission,” and added that while outside care should supplement care provided by VA doctors, it should not replace it. “Reforming VA health care cannot be achieved by dismantling it and preventing veterans from receiving the specialized care and services that can only be provided by VA,” McDonald said. Paralyzed Veterans of America said it welcomes discussion on veterans health care reform but cautioned against privatized care because it would remove protections veterans have being treated within the VA system. “Privatizing health care for veterans will create a cottage industry for ambulance chasers who will be the only available option for veterans with medical malpractices cases,” PVA officials said in a release. 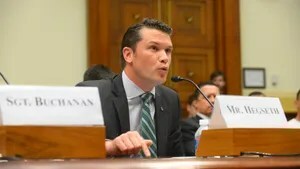 Stewart Hickey, national executive director of AMVETS, addressed the summit, saying “most of what is in the report is good.” But he added that persuading other veterans groups to support the plan would be difficult because they are interested in preserving the status quo. Lawmakers who spoke at the summit in favor of reform included Reps. Jeff Miller, R-Fla., Jackie Walorski, R-Ind., Tulsi Gabbard, D-Hawaii, andSen. Marco Rubio, R-Fla.
None said they would sponsor a draft version of a bill proposed in the report, the Veterans Independence Act, but agreed that the proposals would start a dialogue about long-term reform of VA health. Frist and Marshall acknowledged as much in the report. “No plan is perfect. While we believe that our proposal would significantly improve veterans health care, we know the plan would benefit from continued refinement and input from interested parties,” they wrote. Nearly 9 million veterans are enrolled in VA health care. According to VA, the department made more than 2 million authorizations for veterans to get care from non-VA providers from May 1, 2014 through Feb. 1, equaling $6.7 billion in care. The figures represent a 45-percent increase when compared with the same period in previous years. CVA officials said one of the goals of its recommendations is to steer VA back toward caring primarily for veterans with service-connected conditions. “Eligibility would be limited to service-connected disabilities and those who are indigent. VA health was never intended to be an entitlement program,” Caldwell said. Since its creation in 2012, CVA has drawn attention for its outspoken criticism of President Obama and held a summer-long “defend freedom” tour that decried current government policies, with members saying those policies undermine both military and economic security. In turn, the group has been criticized for receiving most of its financial backing from conservative political groups. Officials noted that the report has bipartisan authorship and support and urged lawmakers to read it and consider its recommendations. “[Fixing VA] has to be a bipartisan project … similar to when we passed welfare reform. This is an important report that creates a large structural proposal for how you really put veterans first,” former Speaker of the House Newt Gingrich said.